I didn't know Frederik would do so well - currently in first position in his group - after three first placings and two fourths. Presentation of awards tomorrow after a final race around the islands. Ah, this handsome prince certainly loves being out on the water racing with the wind in his hair and the sounds of the waves clapping around him. He is in his glory doing this and his heart is that of a seaman. Just to be on that boat for the ride alone would be pure heaven, to feel the wind in yr hair, the water splashing all over you would be heaven on earth. What great pictures and they brought back some good memories of being on Long Island Sound during a race. Thank you! He won again today - Saturday, final race day - polyesco. Six days of racing with two fourth placings and four first placings. Award presentations to come - I'm expecting photos and some trophy going back to Denmark. His team indeed won first place. Frederik's arrived in Oz for "Audi Hamilton Island Race Week" - photo on Instagram. A wonderful boat, but at roughly 15 million DKK I think it's a little bit outside M&F's budget. But I can easily see myself lounging on the deck, so when I win the lottery I'll by one - or two - for myself. Boating is a pretty big thing in Australia/New Zealand, right? - As in borderline-obsessive thing. For the people who are into it Muhler, it's a big thing. Most Australians live on the coast and not unusual for even working class to have a tinnie, (runabout with an outboard motor) for fishing, especially in regional areas where property is affordable - so your income is not consumed by an enormous mortgage - and you have to make your own fun. Lakes and rivers for fishing. Beautiful yacht - Mary's family met up with her and Frederik on it back in 2015 - and I think, spent some private time aboard after the end of that tour. Wonder if Frederik is taking some time off somewhere before heading back to Denmark - they seem to do that. Why not - it's a long way to come. Saw in polyesco's link that Frederik will try to defend his title next year if "Alive" - most direct competition - enters also. 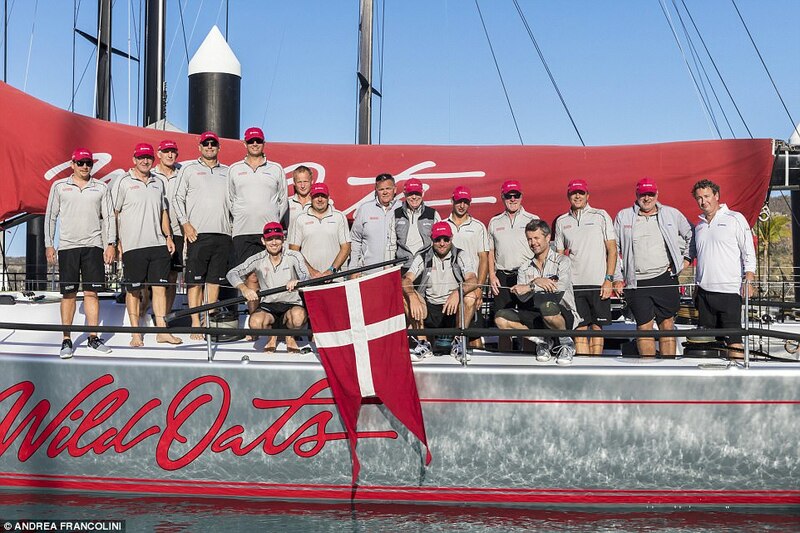 I think he must have had a wonderful time - beautiful weather, mateship, diving, the big party onboard Tuesday night, "Wild Oats X" being the biggest yacht he had skippered, and then ending up winning. 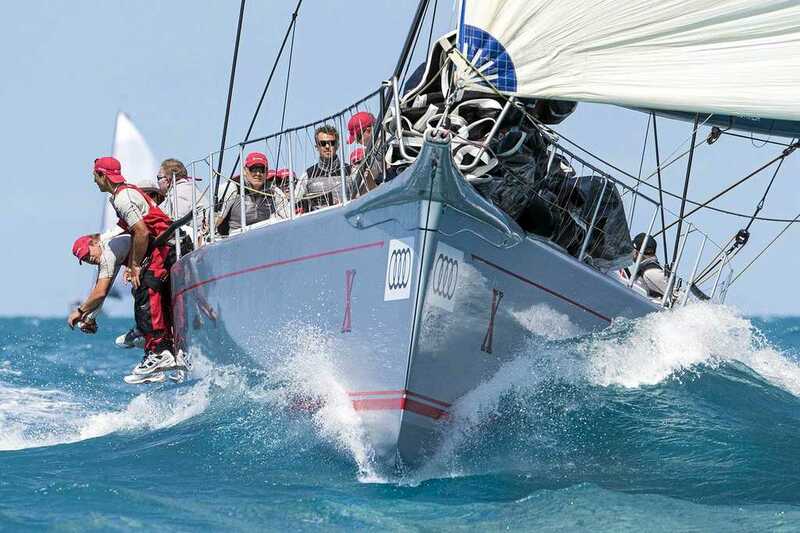 Also quoted as saying the first race was one of his three best ever sailing experiences. Very windy - the trade-winds. Some of the other days, the race course officials had to hunt for wind. There is a big boating event coming up here in DK, next year I think, with Frederik as patron and possibly competitor as well. Perhaps some Australians will take part as well? I guess Frederik will spend a couple of days saying hi to Mary's family and some of their mutual friends. Pretty big boating event...It's the Sailing World Championships 2018, where more than 100 nations are expected to take part and also the qualifying for the 2020 Tokyo Olympics. Big event for Aarhus. Frederik could be on his way to (or already in) PeyongChang, Korea for the last visit of the IOC Coordination Commission leading up to the winter olympics next year. If he is not present at the dinner tonight, he could be in Korea 29-31. August. Added: He will be in PyeongChang. It was just added to the official calendar. Probably flying straight from Australia to South Korea. Frederik looks so happy polyesco. Thank you for all the photos and videos you posted of this week in the Whitsundays - looks like it was a wonderful experience.